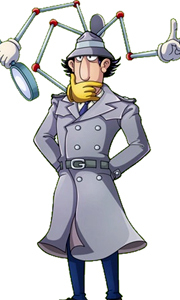 Inspector Gadget: Wowser! Disney’s Inspector Gadget turbo charges to life in a wild adventure comedy with a thousand moving parts. During a daring rescue attempt, John Brown (Matthew Broderick), a naive and clueless security guard, experiences the wrath of the evil Dr. Claw (Rupert Everett). Jumping at the chance to put her robotics expertise to the test, the brilliant Dr. Brenda Bradford (Joely Fisher) transforms him into Inspector Gad..
Own Inspector Gadget - Bumper Boxset DVD from Deff, DVD, Blu-Ray & 4K Video Specialists - Free UK Delivery..
Own Inspector Gadget - Five Crazy Episodes DVD from Deff, DVD, Blu-Ray & 4K Video Specialists - Free UK Delivery..